In making that statement, he touched on an overarching truth about the world of digital marketing: though change is fast, it’s not as fast as we think. In more cases than not, the rule-book doesn’t need to be thrown into the fire. What’s required instead is level-headed and objective innovation. With that in mind, here are twenty-five marketing techniques and leadership trends that can help you structure your own marketing strategy and the implementation framework around it going into 2016. 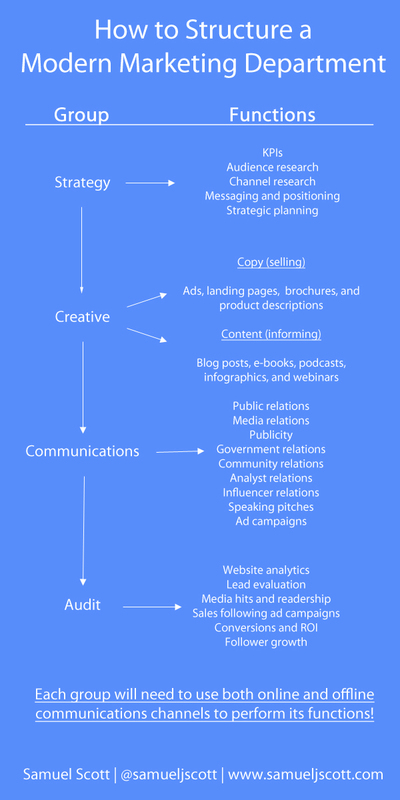 This framework, promoted by Buffer, is called Spaghetti because of it’s seemingly random design: under this framework, all you have to do is start producing content on whatever topic you deem relevant (basically throwing stuff at the wall) and see what sticks. 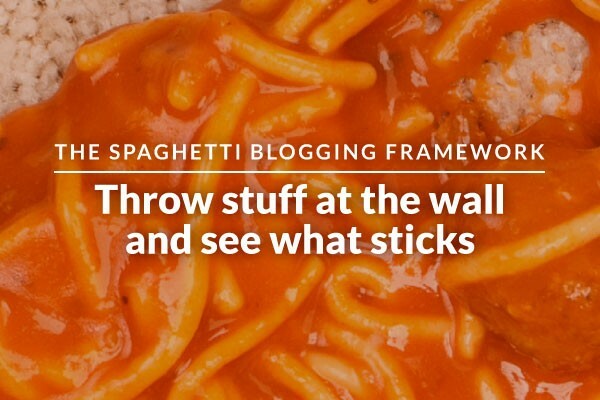 Using the Spaghetti Blogging Framework, there’s no need to go deep into planning before you write. Just keep at it and see what works and what doesn’t. 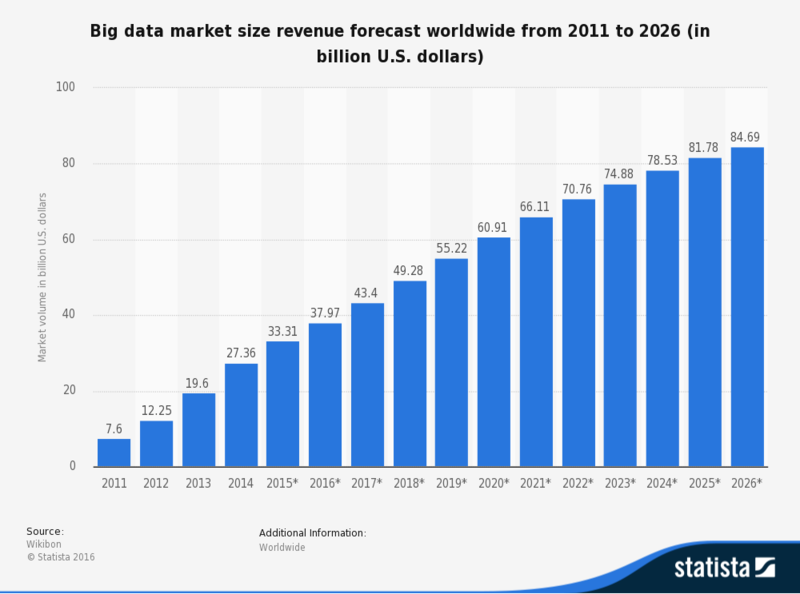 You’ll collect a wealth of data that you can analyze for traffic, lead generation, and social media engagement. These types of marketing techniques are for beginner marketing organizations that know that they should be blogging, but honestly don’t know how to start. I recommend making a quick list of buying personas that you want to hit, topics that you want to cover and let these loosely guide your writing. This technique was developed by Brian Dean at Backlinko. It’s very simple, effective, and low-risk. Step 1: Find content within your niche that is doing very well (generating lots of traffic and social media buzz). Step 2: Create your own piece of content that improves on the content you found (giving full credit to the original author) by adding new information, graphical elements, or offering an alternate point of view. Step 3: Reach out to everyone that shared the original piece of content and ask them to do the same for you. Step 4: Watch as your new amazing piece of content drives traffic to your website. This is a powerful technique because it takes pretty much all of the guesswork out of generating ideas for your blog. You can be fairly certain that the content you’re producing will be well received because it’s modeled off of content that is already leading the way within your niche. 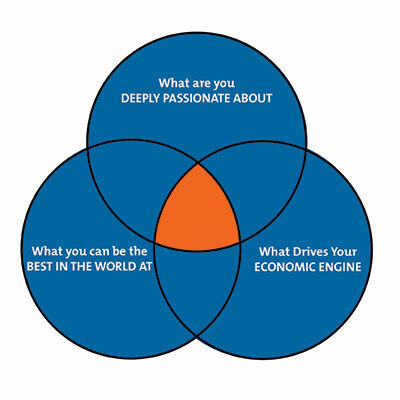 This concept, adapted from Jim Collins’ Hedgehog Framework for business in Good to Great, can be summarized in one sentence: Cover what you do best. Link to the rest. c) What you can make money doing. Then simply focus your content on ideas/topics that fit into all three of these categories. This framework has nothing to do with meat alternatives. It stands for top of the funnel, middle of the funnel, and bottom of the funnel. 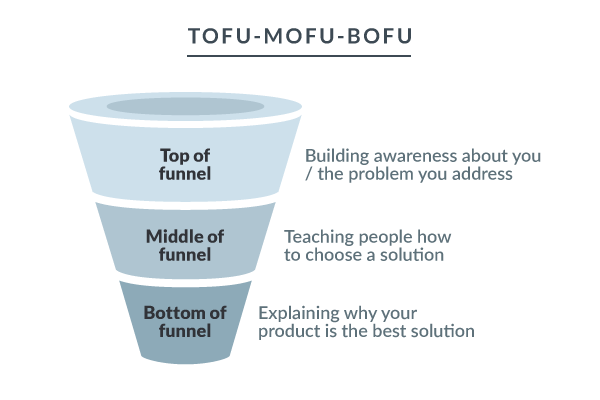 At the tofu stage (top of the funnel), your prospective customers are either looking for a solution to their problem or looking to fulfill a need (like filling an empty stomach). A blog is great for attracting tofu customers with content that solves common problems. Part of this strategy is doing some research on the commonly searched keywords related to the problems that you can solve. Your main goal here is to generate relevant traffic. At the mofu stage you’re trying to convert visitors into sales leads. For these prospective customers, you’ll want to craft content that shows why your solution is better than everybody else’s. You’ll know if someone is in the middle of your funnel if they’ve filled out a form to download gated content. At the bofu stage, your prospective customers are ready to buy. You have to not only convince them that you are the best choice, but also convince them that now is the time to buy. You can facilitate commitment by doing things like offering free trials or special deals to mofu-stage prospects. I like this framework because it allows you to market your company as a problem-solving engine. Using this framework you can handily use each piece of content to promote multiple products or services that aim to solve similar problems, rather than developing specific content for each of your products and services. 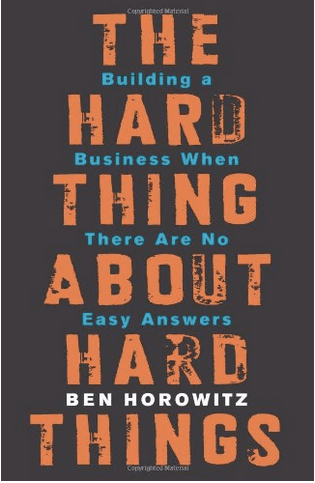 Ben Horowitz’s new book – The Hard Thing About Hard Things – is all about tackling the problems that business school doesn’t help you with. It’s full of invaluable and genuine advice from someone who’s been through the ups and downs of running, growing, and ultimately exiting a startup. And he’s not shy about sprinkling in a few bits of lyrical wisdom from his favorite rappers, as well as some of his own tidbits, including lines like this one: “It’s like the fight club of management: the first rule of the CEO psychological meltdown is don’t talk about the psychological meltdown. At risk of violating the sacred rule, I will attempt to describe the condition and prescribe some techniques that helped me.” It’s the kind of book that is bound to become a Bible for startups. Inc. Magazine recently published its must-read marketing books of 2015. It’s a great list, but for me one book stands out among the rest. That book is The Membership Economy by Robbie Kellman Baxter. It’s all about identifying your diehard super-users, engaging them, and building recurring revenue with their help. The key, according to Baxter, is to foster customer loyalty by creating a limited-access club for members who share your company’s values or goals. This creates intangible value for your customers, who are often willing to pay premium prices for a service if they also get a sense of a community with their purchase. The book drives the following point home: you want to build a ‘neighborhood’ for your customers, so that in addition to a product or service that solves their business problems, they also get to be part of a lasting community. The book is full of great ideas about how exactly to do this. It’s well worth checking out. The basic premise of this structure is to avoid separating traditional and online marketing: basically, to integrate public relations and digital marketing teams. He talks about his experience working at a marketing department where the PR and social media teams didn’t work together at all, resulting in missed opportunities: for instance, failing to simply display the CEO’s Twitter handle during a Fox News TV segment. Taking this approach might force your marketing team members to broaden their skillsets. Content writers might need to learn how to write PR pieces; marketing campaign auditors might need to learn how to determine ROI for both online and offline campaigns; publicists might need to put down the phone and get on social media to connect with consumers and potential partners. He forecasts the end of social media marketing, content marketing, and link building as discrete initiatives. I think this is already happening. 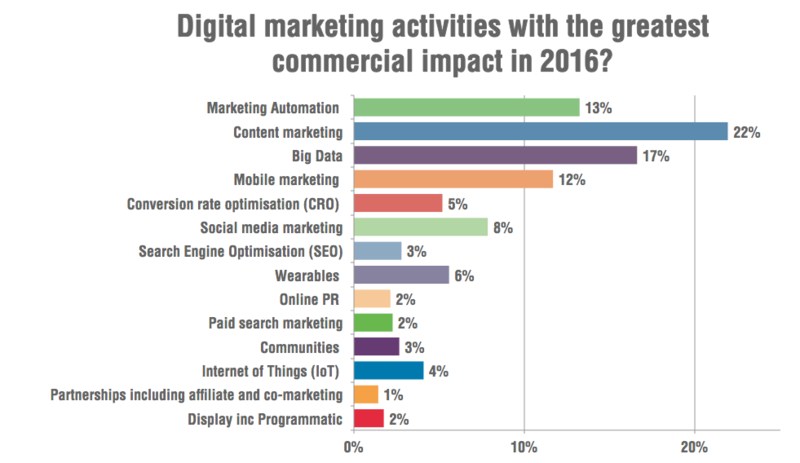 Many of these digital marketing techniques are now mainstream and marketing teams are looking for more holistic approaches to digital marketing. In a May 2015 post, CMO.com published a list of their top 10 marketing thought leaders. The list includes some usual suspects – Mark Zuckerberg, Jim Stengel (of P&G fame), Guy Kawasaki, and Seth Godin, as well as some you may not have heard of. 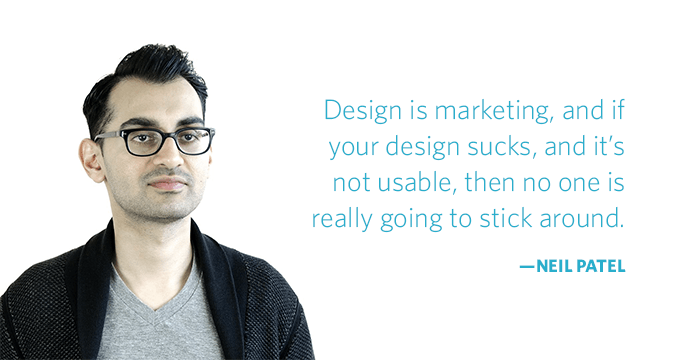 One of them is Neil Patel, the digital marketing guru and co-founder of CrazyEgg, KISSmetrics and Quicksprout. His website is a great resource if you’re looking to build a marketing plan focused primarily on revenue growth (i.e. quality traffic and leads, not just volume). Another standout for me is Robert Rose, the Chief Strategy Officer at the Content Marketing Institute. He just released a new book called The Seventh Era of Marketing that summarizes 5 years of research, revealing the best practices in content creation management. The access marketers now have to information about their current and potential customers is unprecedented. This applies just as much to third-party stats as it does to your own, but there’s a catch – in the same way that you’re able to get your hands on all this data, so are your competitors. Because of this, the question isn’t how much information you can acquire, but how intelligently you can use the information you have. Such as integrating it into your marketing processes to create customer-centric experiences. In a similar vein, consider these words of wisdom from SaaS wizard Jason M. Lemkin: “The very best entrepreneurs can take the first 10, 15, 20, 100 customers … the handful they have today … and explain the entire future of the industry & their start-up, their solution, and how it all fits together. And how this creates a Unicorn.” Quite so. It’s not the tools, it’s how you use them. Following on from the first point, many service-based products now have associated communities, often in the shape of forums. This is particularly relevant for SaaS marketers because they both deepen product engagement and are also hugely valuable sources of customer data. WordPress frameworks, POS systems, accounting software – it’s happening right across the board and even SMBs can take advantage of the trend without the hassle of having to run a forum (think Facebook groups and small-scale messaging boards). The specific noticeable trend here is the indexation of Twitter – feeds and individual tweets are now featuring more heavily in SERPs than previously. But there’s a broader lesson – cross-channel marketing needs to be built into your strategy at a fundamental level. If, for instance, you’re expecting searches for your company in Google to show potential customers tweets from your feed, then they need to be optimized for that channel. As another example, social factors – whether they be Facebook likes, pins or retweets – are becoming increasingly important as ranking factors. It’s something that marketers should bear in mind when crafting their content strategy, especially in the context of SEO processes. Content marketing remains one of the most financially sustainable options for marketing leaders and needs to be kept at the centre of strategy. Yet it remains under-utilised. For instance, Forbes writer Jason DeMers writes that, “88% of B2B marketers currently use content marketing as part of their marketing strategy, yet only 32% have a documented content marketing strategy.” The issue, in part, is with the huge swathes of digital content being produced every second of every minute. Much of it gets lost in a bottomless black cyber-hole. Simply put: superb content isn’t enough. This is a trend that ties in neatly with the one above. As the need for effective outreach becomes more pressing and greater numbers of marketers develop their strategies accordingly, influencers will become more and more overwhelmed with requests. One way that companies are attempting to stand out is by offering high-value incentives. The whole infographic craze was based on this idea – rather than reaching out and begging for referrals, something that would appeal to the target site’s readership was offered. This excellent post from HubSpot illustrates some of the ingenious ways marketers went about fulfilling that brief. This applies as much to established platforms, like Google, Facebook and Twitter, as it does to new ones. The testing and evaluation of up-and-coming marketing channels, and of features on current platforms as they develop new ways to grow, needs to be built into your overall strategy. 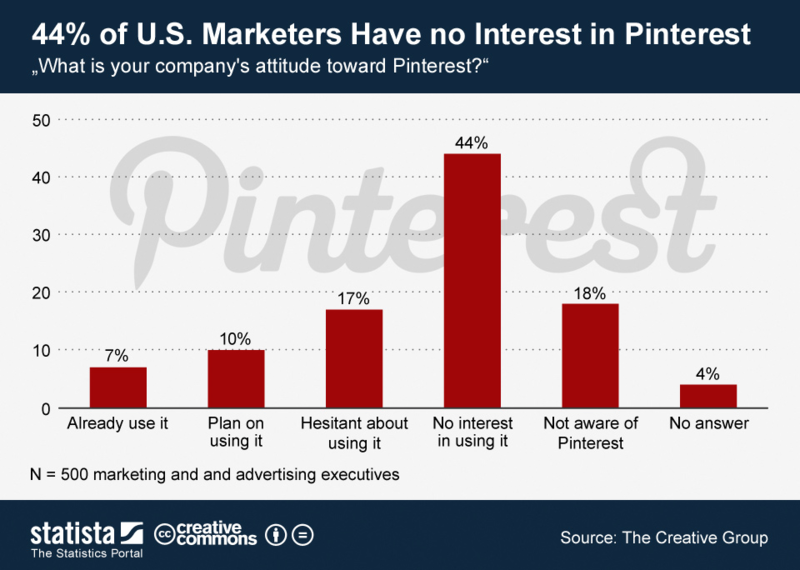 It’s amazing, for instance, the number of marketers that aren’t effectively using sites like Pinterest. Not only will testing provide you with an obvious increase in your market-reach if you hit on the right strategy or platform, but you’ll also have a unique opportunity to take advantage of communities that your competitors likely haven’t even heard of. There’s potentially hundreds of second-tier social networks you could be investigating. There is of course a legitimate fear of spreading the nets too widely, but an effective testing plan should easily offer an ROI that far outweighs the expended resources. 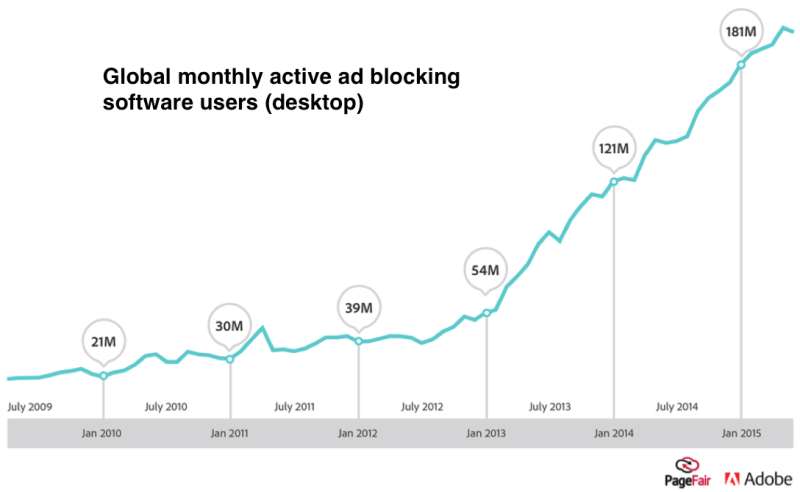 Depending on how you look at it, the rise of ad-blocking presents either an opportunity or a cause for concern. On the one hand, it reaffirms the value of content marketing and in doing so offers the chance for marketing leaders to make the case for a shift in focus. On the downside, for those companies that rely on paid client-acquisition in crowded industries, the increase in competition for ad-space could present a real danger. Contingency plans may be required. This is a smaller point, but one trend that’s definitely noticeable is the increasing presence of services and software, centered around improving content marketing, for small and medium-sized businesses. BuzzSumo, Kapost, Hubspot – they’re all offering entry-level packages and more companies are following suit. What this means is that marketers responsible for running the campaigns of smaller enterprises will now have access to the kinds of advanced tools previously only available to a select elite. There are few phrases more well-known than Seth Godin’s purple cow. The basic notion, that a company’s success relies in large part on its remarkability, will probably stand true for as long as human beings exchange their money for goods and services. 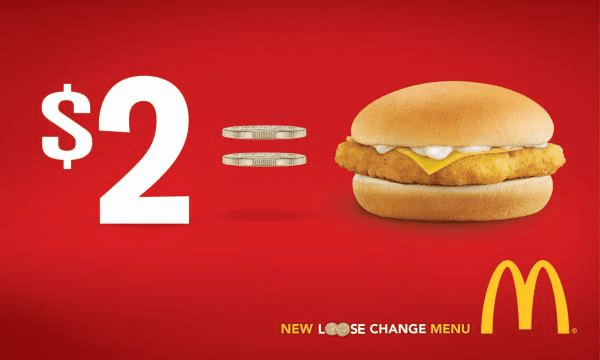 But there’s a flipside. It’s entirely possible to focus so much on the bells and whistles, on diversifying in unique and remarkable ways, that you forget who you are. Very often the way to stand out in a sea of purple cows is to wash off the paint and be black-and-white again. The result? Companies are amplifying their core value proposition in a world of clutter. There’s a definite trend to take the “less is more” approach – reasserting the key offering alongside, or even instead of, all the additional features. 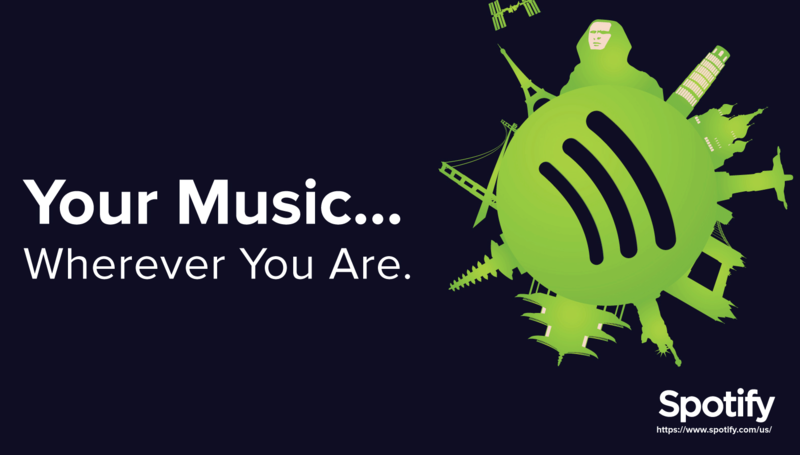 You can see it in advertising materials from Spotify to McDonalds. As consumers become more concerned about the ethical standing of the companies from which they buy, it’s in the interest of marketers to heighten awareness of any value-based initiatives. Or, if there aren’t any, to create some. Take Intel’s diversity fund, for instance, or Flipkart’s adoption allowance. It’s also important to mention that blatantly unprincipled behaviour is more unlikely to go unnoticed, given this broad demand for a healthier, more compassionate consumerism and the media’s willingness to demonize those who transgress. 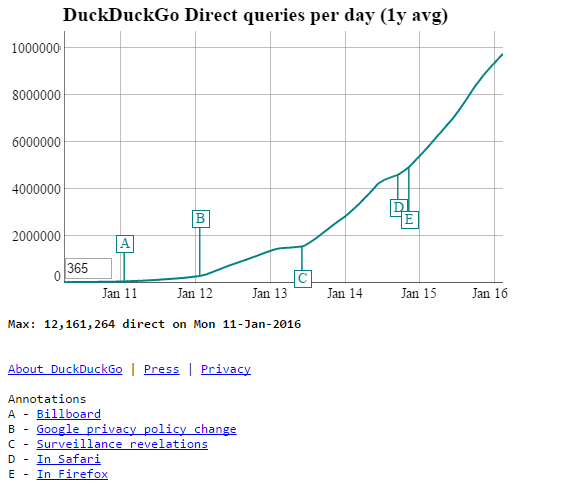 DuckDuckGo has emerged as one of the fastest growing search engines in 2016. Don’t get me wrong, their market share is still tiny and I don’t want to fall completely in line with all the hype, but it’s useful as an illustrative point. They’ve grown for one reason above all: demand for privacy. Like it or not, consumers want to control their data. At first, this might seem like bad news for marketers, who rely on it to a great degree. But the issue is really one of trust. As long as customers know that their information will not be used if they don’t want it to be, and are fully informed of what it will be used for if they do, they’re much more likely to form a positive connection with the service that’s asking for it. Specifically, the rise of live chat. Reportedly, there’s a 73% satisfaction rate with live chat – greater than any other form of customer support service. But there is a broader message lurking behind this trend. WPEngine’s public apology, though it’s now old news (it was published in 2014), is still relevant today as a cautionary tale. As one of the most promising young companies, there was serious talk of irreparable damage after a damaging expose of its poor customer service was published. Online service companies are responding to the rising demand for high-quality in-person service in numerous ways. Like I’ve just mentioned, one of the most obvious is with the inclusion of live chat options on their landing pages and within the user interface of the product itself. This excellent post from Kissmetrics outlines some of the many benefits. The nature of company structure continues to change. Hierarchies are “flattening out”, rapidly changing online markets demand ever-increasing flexibility and, most vitally, employees are becoming ever more aware of their own autonomy in relation to their employers. Fast Company reports: “As of May 2015, 15.5 million people in the U.S. were self-employed, according to the Bureau of Labor Statistics—an increase of roughly 1 million since May 2014. That number is expected to keep growing at a steady clip.” Yep, the key word here is freelancer. As a marketer, you have access to a worldwide pool of talent, and it’s in your interest to fish in it. By designing your internal marketing processes to manage and ultimately take advantage of remote workers (accounting for both the upsides and downsides involved) you’ll be setting yourself up for success. Again, you might be forgiven for thinking that this is nothing new – it’s more the continuation of the trend above rather than a new one entirely. Because employers, especially those in online industries, are seeking talent from a worldwide audience, elite freelancer marketplaces have arisen to meet the corresponding demand for quality. Toptal, Scripted and London-based company YunoJuno are all good examples. As a marketer, it may well be in your interest to utilize these . It’s not a case anymore of marketers taking care of the leads, salespeople closing them, the IT team managing the backend and so on. The need for CMOs to be in constant communication with CIOs (in the context of the first trend of this post), CFOs, COOs (or whatever three-letter acronym equivalent exists in your own organization)…for the support team to be feeding back to the design team, for recruitment to be in sync with the demands of R&D…the list goes on. The ultimate goal, of course, is to create a strong customer focus across the entire organization. As an interesting side-note, you could also argue that, especially for digital marketers operating in the often shady realm of internet law, this same principle applies to the legal side of things. The European Union’s antitrust accusations against Google, though it’s difficult to predict what the eventual outcome will be, are an example of how political and legal changes could affect the way companies approach big players that are ultimately huge sources of traffic. It might be just as important that you collaborate with your lawyers as your IT manager. Neil Patel – I know, he’s already had a mention but he is very good- has talked about how, as part of his overall strategy, he’s now targeting foreign markets and it’s resulted in a 47% increase in traffic, almost overnight. 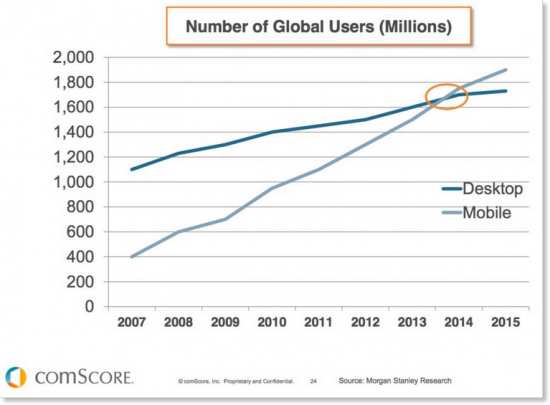 App developers, too, are increasingly turning abroad. On a very basic level, it makes sense – both with your content and your product. For SaaS providers it’s often a simple case of internationalization and translation – the source code remains the same. But think about it in terms of content too. If you’re able to rank for a keyword in a US Google SERP, imagine what you could do in the underserved Asian and South American search engines. Decreasing organic reach (across platforms). This is a trend that has been reported on a great deal in relationship to Facebook, with a reported drop from 16% to 6.51% between 2012 and 2014 and no signs of abating. But there are signs that this decline is also affecting search engines, in particular Google. As they become more and more aggressive with paid ads, organic click-through rates – that is, the proportion of search traffic visiting organically-listed results not paid ads – are going down. What does this mean for marketers? Well the growth of Google might well make this a non-issue, and there’s still huge opportunities within the space. But it does mean that marketers can no longer take their organic reach for granted. As spaces at the top become scarcer, the need for quality increases. Blind automation is a thing of the past and intrinsically counter to the meaningful interactions that consumers desire. But, in unison with broader strategies, this type of software can have a huge, time-freeing effect. Tools for scheduling emails, automatically updating social media, posting content at optimal times – all of these things allow CMOs to focus their teams on what’s actually important. As I mentioned, I don’t think it’s time to be getting excited about virtual just yet. There’s also indications that wearable technology isn’t taking off anywhere near as fast as expected. But mobile continues to rise..
Keeping the focus on the customer-journey, it’s vital to remember that the rules are (often unusually) different when speaking to people through smartphones and tablets. Conversion rates are much lower on mobile, for instance, whilst engagement tends to be higher. There are also unique opportunities, such as location-based targeting (POS SaaS provider Bindo is a good example of effectively using this strategy) that should be taken advantage of. There are plenty of fantastic marketing frameworks, org structures, books, and thought leaders out there offering a wealth of marketing knowledge. This list is only a short sample, but should hopefully get you started with some inspiration for 2016. The key is to make a plan and execute it. It doesn’t have to be flawless: you can always improve your strategy along the way.